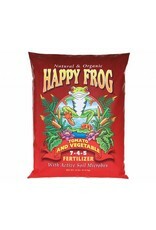 Precisely designed for use on all veggies, tomato varieties, soft fruits, and berries. 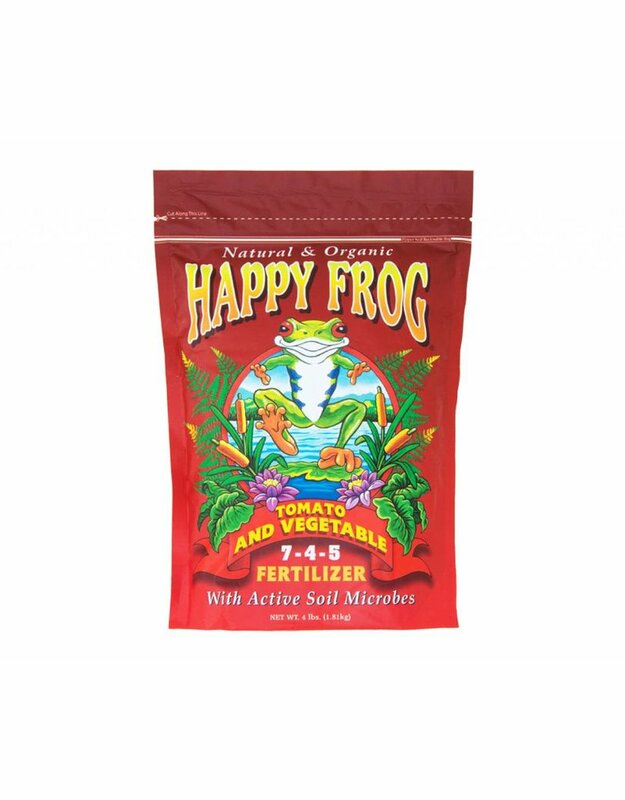 Happy Frog® Tomato & Vegetable Fertilizer also contains calcium which helps prevent blossom end rot and boosts stronger cell walls, helping plants fight off disease. Before you can bring a great meal to your table, you need to bring a great meal to your garden. 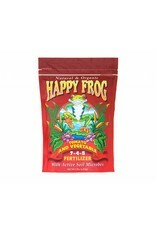 Tomatoes, soft fruits, and veggies require a special nutritional mix to ensure high yields. 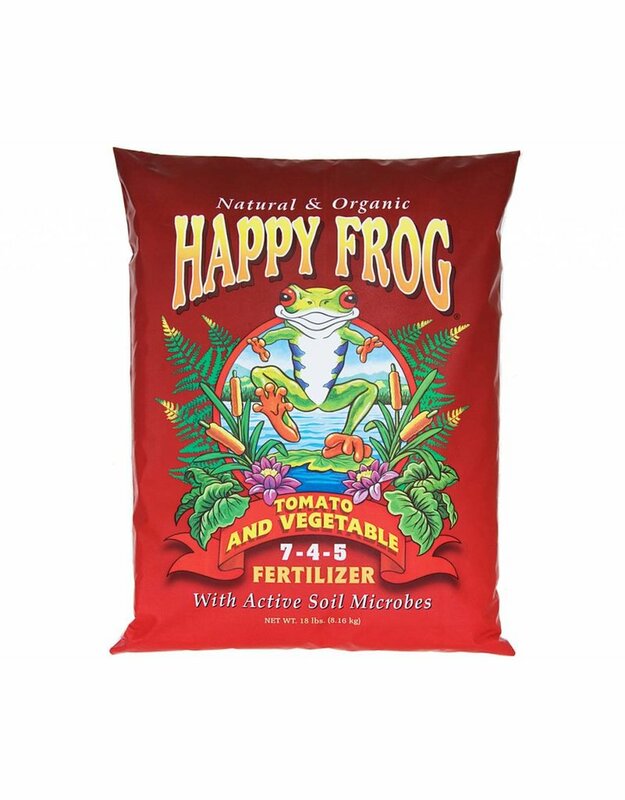 FoxFarm’s Tomato & Vegetable formula contains premium ingredients like bat guano, kelp meal, alfalfa meal, fish meal and naturally occurring organic material that is formed when organic matter decomposes.